I remember being young and watching the 10 p.m reruns of “The Simpsons (1989)” with the volume really low to not disturb my parents. I remember laughing at Homer’s ignorance, Bart’s need to cause trouble and Lisa’s nerdiness. I even laughed at characters like Apu, the Indian-American character in the show. All throughout television history we have seen the media mock different racial groups, whether its Long Duk Dong from “Sixteen Candles” or Jim Crow in Disney’s “Dumbo.” Unfortunately most of the time we brush these portrayals off and just see them as a funny joke without thinking of the racism behind them. It wasn’t until I came across the documentary “The Problem with Apu” by Hari Kondabolu that I began to question the problems with Apu’s character on the show. The main problem with The Simpsons’ Apu is that he perpetuates racial stereotypes of Indian people. He is the owner of a convenience store, portrayed as being cheap by consistently raising prices and is given a really thick Indian accent. Rather than have an authentic representation of an Indian person, the character becomes a caricature and what White Americans see as representing all Indian people. Kondabolu also points out that the voice of Apu is done by Hank Azaria, a white actor. I see why this is offensive because not only are the creators making a mockery of Indian Americans but also adding salt to the wound by having the character voiced by a white actor. From the very beginning the creators had clear intentions with how Apu’s character was going to be presented. 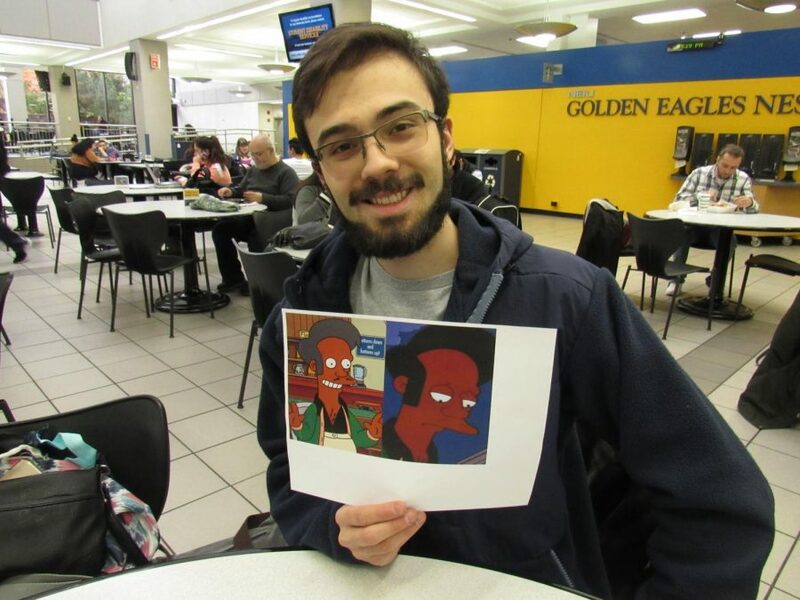 Due to the increased criticism after “The Problem With Apu” released, the creators of The Simpsons took measures to decrease the offensiveness of Apu’s character. 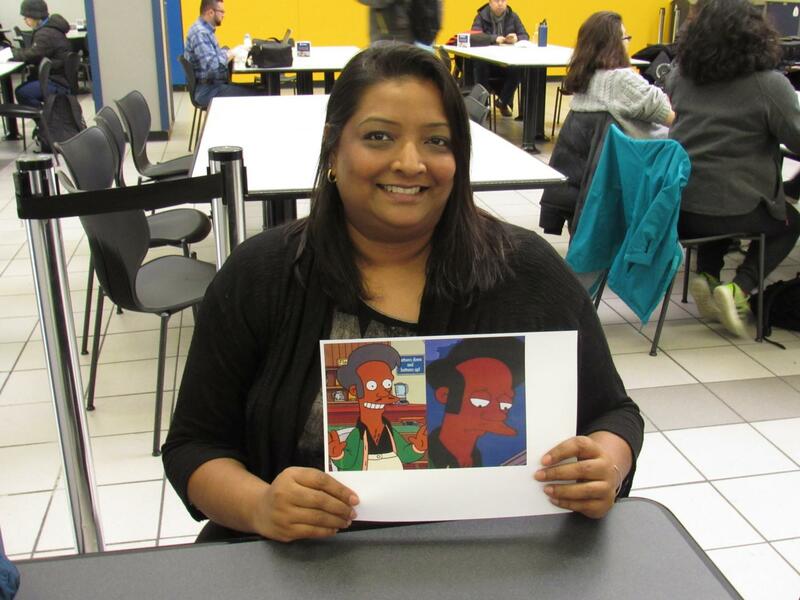 In the recent season Apu was given no lines of dialogue and rumors circulated that the creators might eliminate the character completely from the show. There’s no denying that Apu is a beloved character on The Simpsons. 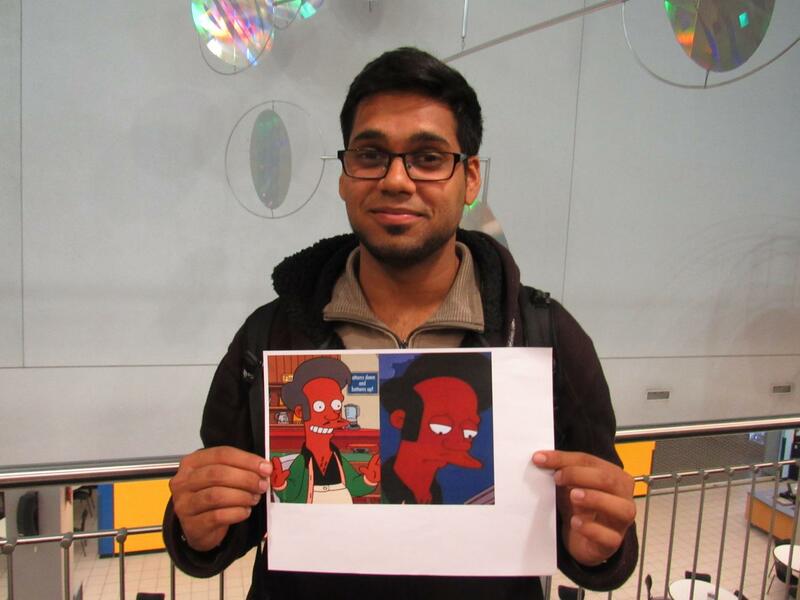 A lot of NEIU students praise him when asked by the Independent how they feel about a Apu. I do find Apu’s portrayal racially insensitive and I honestly feel guilty for finding him funny. If you break the show down, we are all essentially laughing at the racial stereotypes of Indian people. I don’t necessarily agree with eliminating him completely because he is such a beloved character but some changes to his character would be appropriate. I think we should keep Apu on the show, but rewrite him so that he is not just a walking stereotype of an Indian person. Maybe give him a story line where he no longer is the owner of the Kwik-E-Mart. “Taking a closer look you do see what is going on in society nowadays so it is not that it is a bad thing that he is taken off but for people who are die heart fans of ‘The Simpsons’ or the characters and the story line the characters are a part off, it may be a heart-breaker. Personally I think it they are doing the wrong thing by taking him off but whatever floats societies boat,” NEIU student Milan Bhatt said. “I think it’s kinda sad that he is taken off the show. I think if they portray him in a different way rather than a stereotypical way, bring in different dialect for him, maybe then the character could stay on. But I think the character is causing too much controversy,” NEIU student Allen Sodavaram said. I do definitely think the way he is currently portrayed on the show is racially insensitive and quite frankly offensive, so I wouldn’t mind his elimination from the show. There is no denying how much people love Apu on the show but are they loving him for the wrong reasons? Every character in the show is a walking stereotype. That’s the whole point. If anything Apu comes off as a better person than anyone else in Springfield.